After working, enjoy supper made over a campfire! Free Lodging available at the Arc’s Volunteer Headquarters. 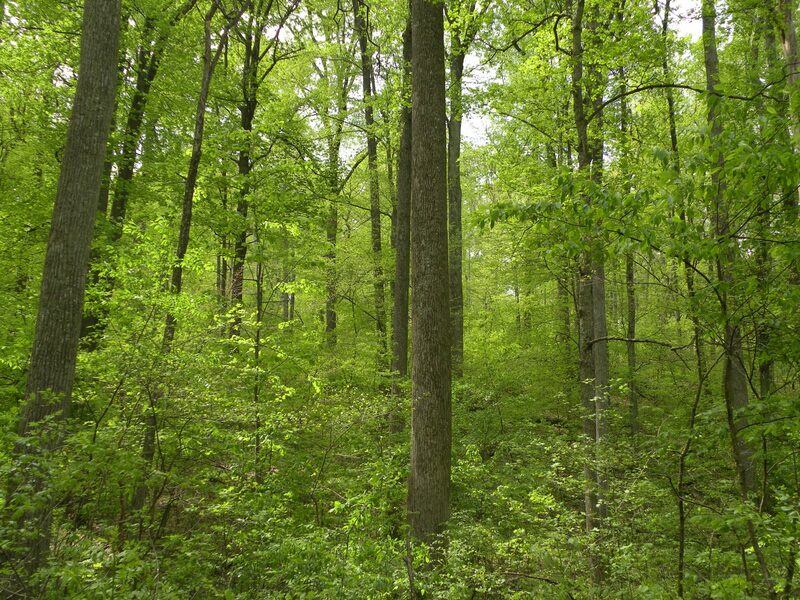 Fort Hill is, in our humble opinion, THE premier forest of Ohio. It is 1300 acres in size, and is the largest tallest forest in the state with many pockets of old growth and just plain OLD trees. 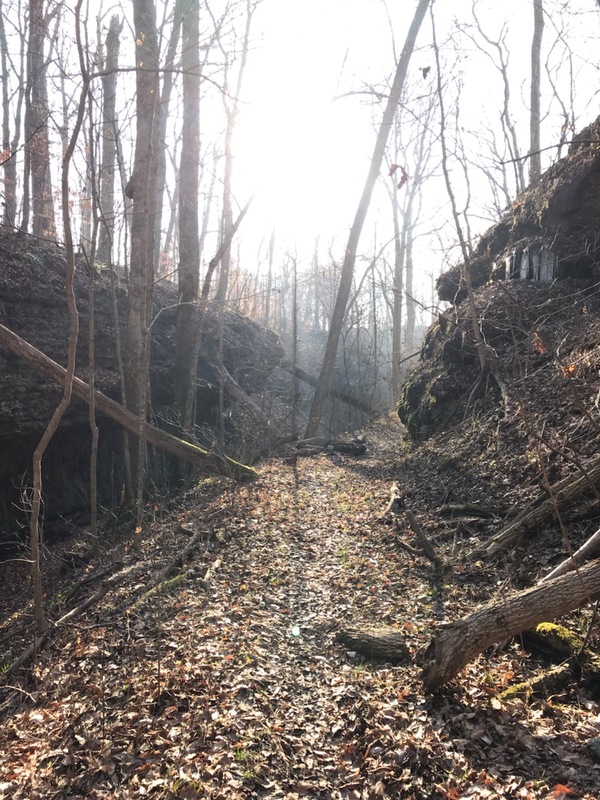 The size of the park and its 11 miles of hiking trails offer visitors a place of calm solitude in the back country, but provide some challenges for managing the site. 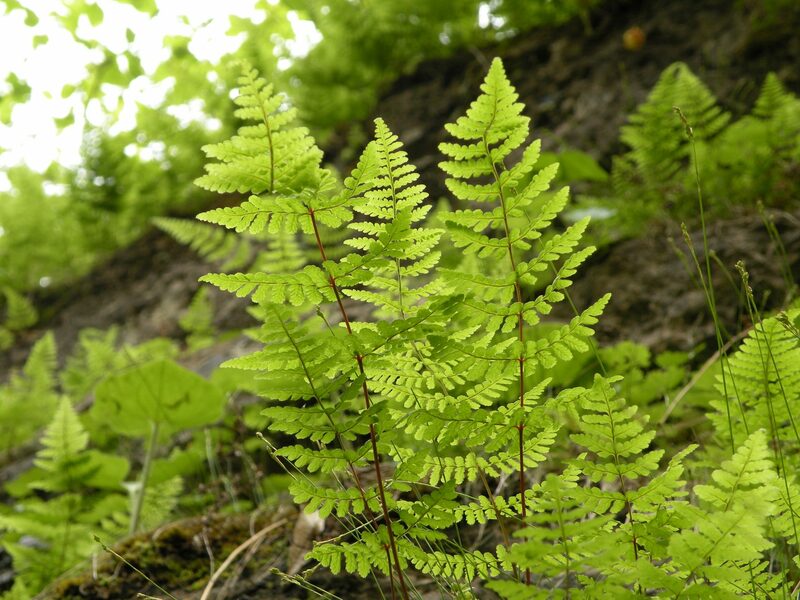 Even an undisturbed gem of a forest like Fort Hill can’t completely resist invasive plants. No forest in Ohio deserves more of our help. We will primarily be working on the Bush Honeysuckle and Multiflora Rose that is invading the forest by cutting and treating with an herbicide. We will be walking a mile into the forest to our work site. Ethan King is the Assistant Manager of Land Stewardship at the Arc of Appalachia. 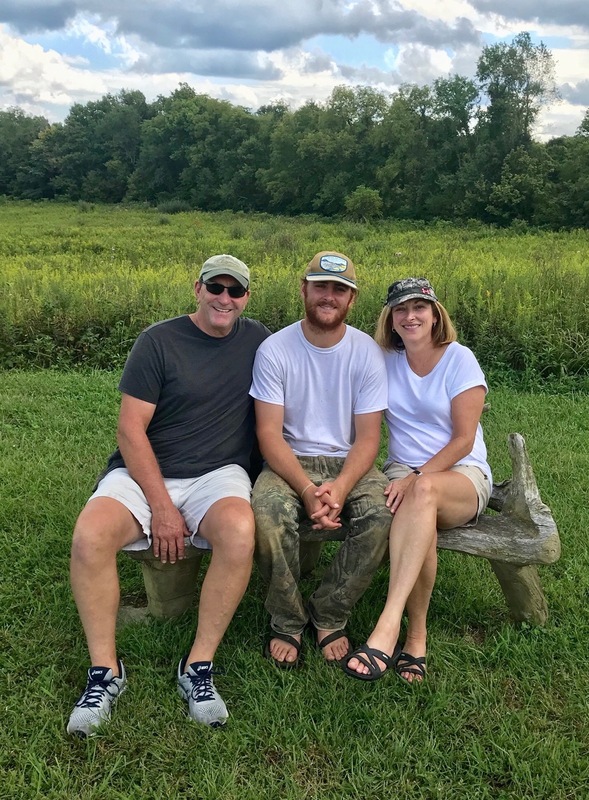 He is a native of Cincinnati and has developed a passion for the outdoors, which stemmed from his Grandmother who is an outstanding naturalist herself. He is an only child so he is very close with h is parents, family, and friends that he has stayed in touch with from graduation of High school. 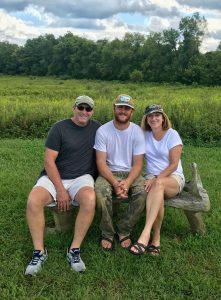 Ethan Graduated from Hocking College with a degree in Wildlife Management. He worked for Wayne National Forest where he used topographic maps to locate Tree of Heaven infestations and schedule them for removal. Ethan always says Hocking College was the best decision he ever made while exploring options for furthering his education. While looking to get his foot in the door after graduation he found a job in Colorado where he engaged in ecological field studies for a company called NEON (National Ecological Observatory Network). Shortly after that position had come to an end he knew his roots were in Ohio and wanted to look for work in his home state. Soon after he found The Arc he fell in love with its mission, the preserves, and everyone he gets to work with on a daily basis. Ethan spends time maintaining over 40 miles of trails, enhancing them for overall hiker experience. He works on the removal of invasives from the rich biological hubs that we are fortunate enough to have here in our area and runs the Arcs deer management program to keep the ecosystem as healthy as possible. He likes to have a good time while keeping The Arcs mission the number one priority. He looks forward to meeting and working with everyone he comes across. 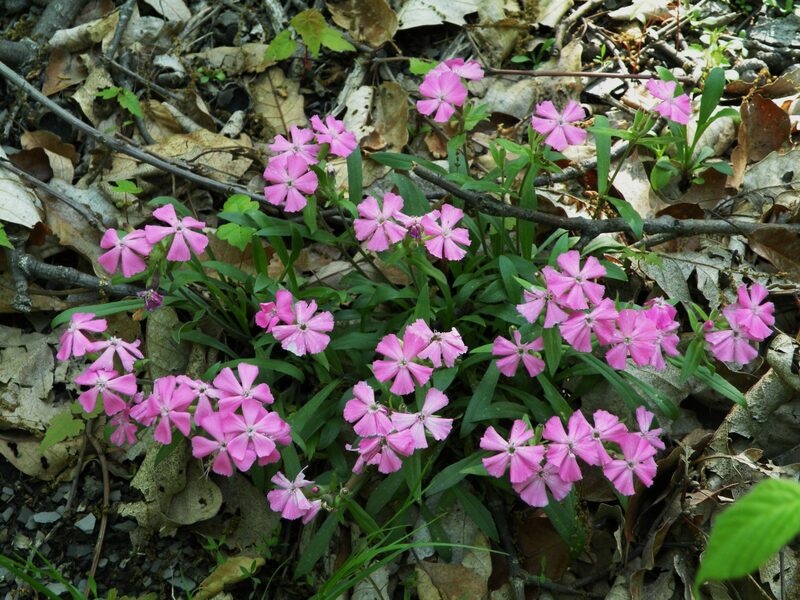 The undisturbed forest of Fort Hill supports a large number of plants estimated at over 800 species, including rare and endangered such as the Canby’s Mountain Lover. The park also has two Native American mounds on the property. The largest one, Fort Hill proper, is a well preserved hilltop enclosure mound with tall earthen wall measuring 1 ½ miles long. The other is a circular ceremonial enclosure 170 feet in diameter and extremely well preserved, located on the far side of the park from the main entrance and accessed by the Buckeye Trail. Very few artifacts have ever been found on the site, but the ones that exist, and the nature of the mounds themselves, both suggest they are of Hopewell Culture origin and were constructed 2,000 years ago. See Fort Hill’s webpage. Bring a bottle of drinking water for the workday and we will provide a water refill station. 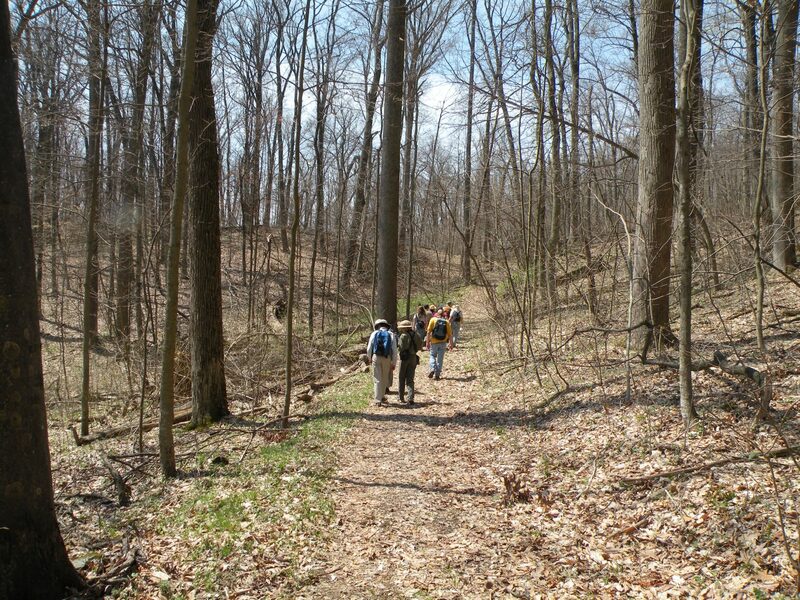 You may also want to bring snacks as supper will be served after we get off the trail. We also recommend wearing footwear with a good tread, a brimmed hat to keep the sun off your face, long pants and a long sleeved t-shirt to cover your legs and arms. Having a change of clothes for after the workday is never a bad idea! You may bring your own clippers, garden gloves with rubber coated protection, light handsaws, and safety glasses. If you don’t, we can share our tools with you. Poison ivy will not be a problem in the fall or early spring since the leaves are not out. Human beings are literally born to recognize plants in the woods. We’ve been doing it successfully for hundreds of thousands of years. You will be amazed how proficient you will become at plant recognition in just 20 minutes of time. Soon your hands and eyes do all the thinking for you and you can simply relax and enjoy the forest. Please contact Ethan King at ethan@arcofappalachia.org . Fort Hill is approximately 70 miles from outerbelt 270 in Columbus. We estimate it is a one hour and thirty minute drive to your destination from the outerbelt of Columbus. Be sure to add on how long it takes you to get to that exit from your starting point to estimate your total driving time. To Begin: Take the 270 outerbelt around Columbus and head south toward the SR 23 Exit. Exit on SR 23 and go south. (If 270 were a clock, the exit is at 6:00). Follow Route 23 all the way past Circleville, into Chillicothe. You will see several exit ramps in the Chillicothe area. Be sure to watch for the one that says Route 50 WEST, not Route 50 EAST which would erroneously take you to Athens – in the wrong direction! After you correctly exit, Route 50 highway signs will clearly direct you through Chillicothe. Take Route 50 West through Chillicothe. After approx. 20 miles you will pass through the town of Bainbridge. On the far side of Bainbridge, turn left on SR 41 South. Follow 41 south, past JR’s farm market, and through the town of Cynthiana. Go several more miles. Watch for SR 73 coming in on your right and begin paying close attention. Watch for a noticeable sign that says Fort Hill on your right. Turn right on the marked road and follow the signs to Fort Hill. It will be on your left. Follow the road past the brick museum building and over the wooden bridge. 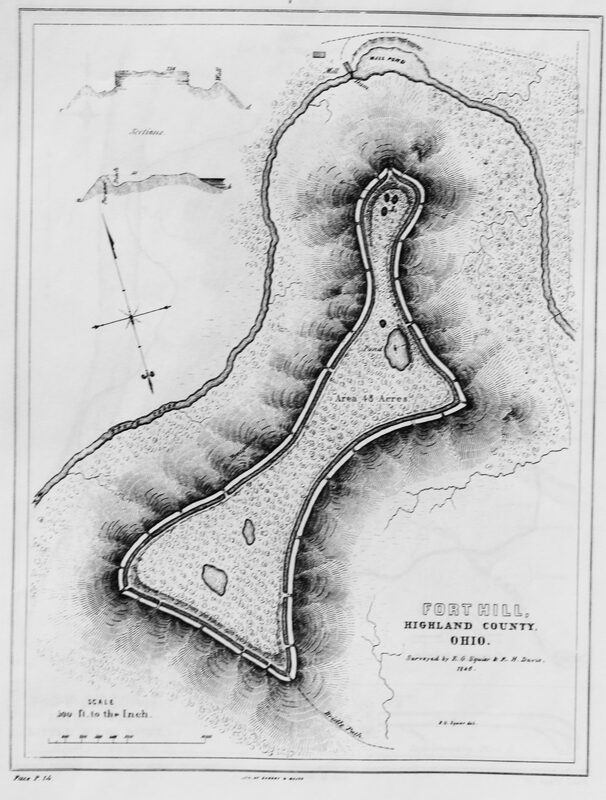 Fort Hill is approximately 70 miles from Outerbelt 275. We estimate it is a one hour and fifteen minute drive from the HWY 50 exit on the outerbelt. Be sure to add on how long it takes you to get to that exit to estimate your total driving time. To Begin: Get on the 275 outerbelt around Cincinnati and go to the Milford area (southeast corner of the metropolis on 275, if 275 were a clock the exit would be at 3:30). Exit on Route 50 east. Follow 50 east approximately 40 miles to the town of Hillsboro. Cave Rd is approximately 15 miles east of downtown Hillsboro on Rt. 50. As you begin to enter the Highlands region, you will drive through the small village of Rainsboro. Soon after you will cross Cave Road, the location of the Highlands Nature Sanctuary. About six miles beyond Rainsboro you will be approaching Bainbridge. Before you enter the town you will see SR 41 off to your right, at the Dollar General store. Turn right here. Follow 41 south past JR’s farm market, and through the town of Cynthiana. Go several more miles. Watch for SR 73 coming in on your right and begin paying close attention for your final destination. Watch for a noticeable sign that says Fort Hill on your right. Turn right on the marked road and follow the signs to Fort Hill. It will be on your left. Follow the road past the brick museum building and over the wooden bridge.